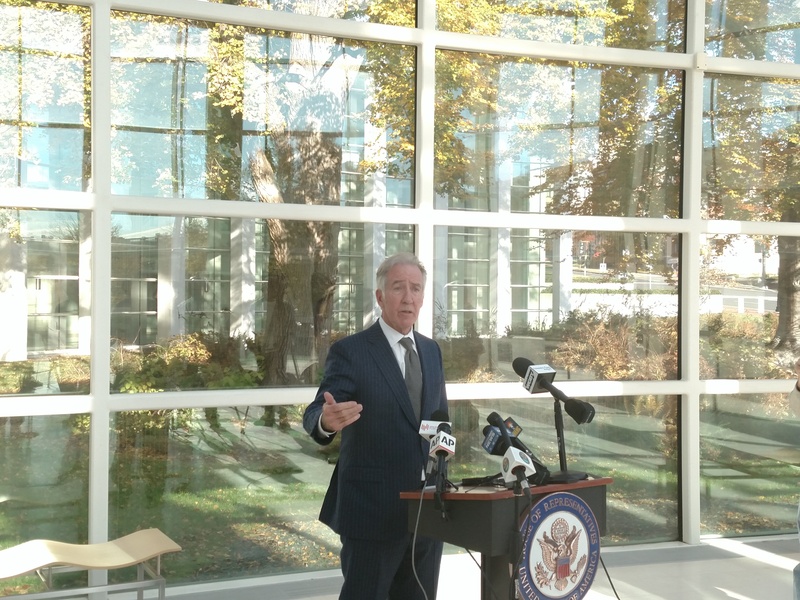 Exactly three months after he became chair of the House Ways & Means Committee, US Representative Richard Neal formally made his long-awaited request for Donald Trump’s taxes. In a letter to Internal Revenue Service Commissioner Charles Rettig Neal sent Wednesday, he asked for returns and related information from Trump and eight of his business entities from tax years 2013 to 2018. The congressman’s move caps a slow-moving drama in both Washington and, to a lesser extent, in his Massachusetts 1st congressional district. National activists and their local brethren began pressure Neal in the 413. Some even began sabre-rattling over a primary challenge if he did not act. But with the request now filed with the IRS, the risk to his seat has dropped exponentially. As chairman of Ways & Means, Neal—along with his Senate counterpart—can request the tax returns of any filer under a law Congress passed after the Teapot Dome scandal. Unlike a subpoena, the authorization to request returns in Section 6103(f) is unambiguous, though a court battle is still likely. Neal had promised to secure Trump’s taxes the day after Democrats took the House when his Ways & Means chairman was assured. But his subluminal efforts frustrated those hankering to peruse Trump’s 1040s, confident the real estate tycoon and provocateur is a tax cheat as his late father ostensibly was. In a press release, accompanied by his letter too Rettig, Neal laid out his request as prosaically as possible. The release goes on to cite an apparent IRS policy to audit presidents and vice-presidents. Neal couched his demand as a look into the national tax collector’s fealty to this policy. “The Committee has a duty to examine whether Congressional action may be needed to require such audits, and to oversee that they are conducted properly,” Neal continued. Despite anger and ridicule over his pace, that may not have pushed him to act any sooner. If anything, pressure from within the House Democratic caucus was more likely to prod Neal. Last month, Tom Steyer, a former hedge fund manager who has pressed for Trump’s impeachment, came to Agawam to rally Neal’s constituents into press their congressman to request the returns. Steyer also paid for an ad calling for the same that has appeared on an electronic billboard along I-91. But many avowed anti-Trumpists in Neal’s district are prone to trusting his strategy. Even Steyer admitted he had no plans to fund a primary challenge to Neal. But as national spotlights found their way to the Massachusetts Occident, some potential challengers to Neal were kicking political tires. 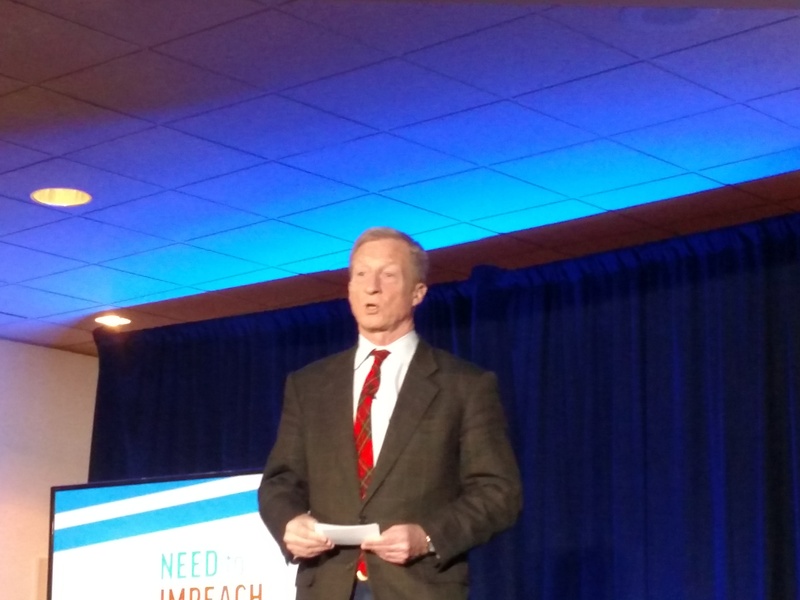 Meetings allegedly happened and associates of at least one prominent pol attended Steyer’s event. Any real threat to Neal would need, money, organization and a knack for cracking the congressman’s hold on the district’s population center around Springfield. That criteria mirrors attributes candidates for Neal’s seat were it to open. A Neal challenger running on Trump’s taxes may actually be trying to outflank congressional competitors otherwise waiting for the seat to open. But now Neal’s hesitancy has evaporated as an electoral cudgel. There was some tension in Washington, however. While House Speaker Nancy Pelosi had not criticized Neal, Ways & Means itself seemed somewhat split. CNN noted that Texas Democrat Lloyd Doggett had chafed at Neal’s pace. Meanwhile New Jersey’s Bill Pascrell indicated a request was imminent then recanted. Others, like California congressman Jimmy Gomez, a Ways & Means newbie, has indicated Ways & Means was taking a historical approach. Indeed, materials released with Neal’s letter explained the history behind querying Rettig and not Steven Mnuchin. (The Treasury Secretary’s office is actually mentioned in the relevant law). It also highlighted that the Senate habitually reviews tax documents for confirmation. President Richard Nixon and Vice-President Nelson Rockefeller’s returns were also the subject of congressional queries. Republicans were predictably apoplectic, calling the request an abuse of the committee’s authority. Neal may still face criticism for, among other things, limiting his request to only the past six years. The eight bodies Neal requested tax information from were: Donald J. Trump Revocable Trust; DJT Holdings, LLC; DJT Holdings Managing Member, LLC; DTTM Operations, LLC; DTTM Operations Managing Member Corp; FB Acquisition Member Corp; LFB Acquisition, LLC; and Lamington Farm Club, LLC. Lamington does business as Trump’s Bedminster golf club. But this is not an exhaustive list of Trump-related entities. While shells and dummy corporations are not uncommon among multi-layered businesses, Trumps nesting doll organization has raised eyebrows. Moreover, none of his children’s 1040s are on the list However, The Washington Post wrote that many other properties, like Mar-a-Lago are controlled through the Trust. Some have speculated that Neal eased off the tax brakes to buy time for legislation that transcends the partisan warfare. If true, the more significant event that preceded Wednesday’s demand involved neither Mueller or Steyer, but the Ways & Means Committee itself. 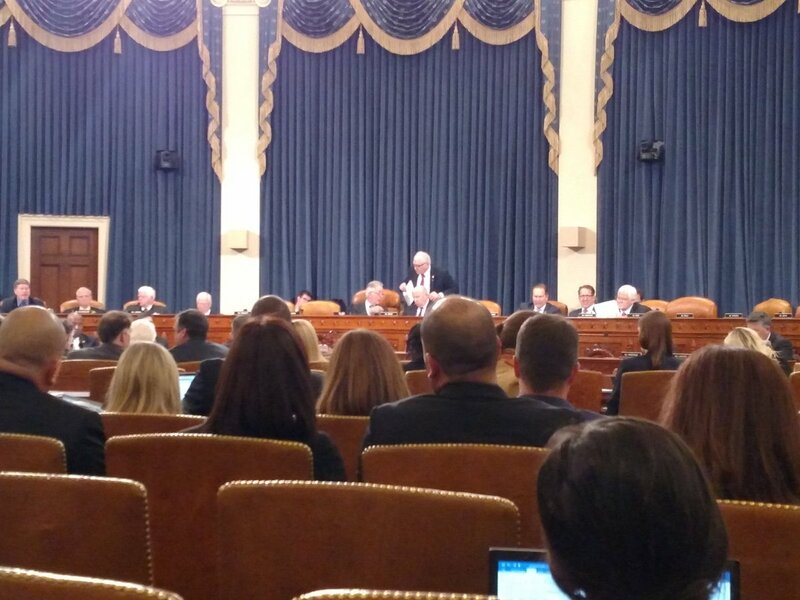 Earlier this week, Neal’s panel approved bills on retirement and restructuring parts of the IRS. Both items enjoyed bipartisan support. Neal’s statement also denied that the request considered other happenings like the conclusion of Special Counsel Robert Mueller’s investigation. Another potential political landmine is the apparent reassurance—for now—that the returns will not be for public consumption. Though the law does appear to allow Neal to later submit the returns to the full House. Trump has already said he is unlikely to comply. As a matter of law, in his capacity as a taxpayer, Trump has no say in the matter. Opposition would come from an order he gives as Mnuchin and Rettig’s boss. In the meantime, Neal has given Rettig until April 10 to comply. As the scrutiny from the left dims, outrage from the right may fill the vacuum. That comity Neal sustained in his committee won’t inoculate him from Trump’s potential rage-tweeting or conservative attacks. Nonetheless, Neal argued, however improbably, this decision was not about Trump.